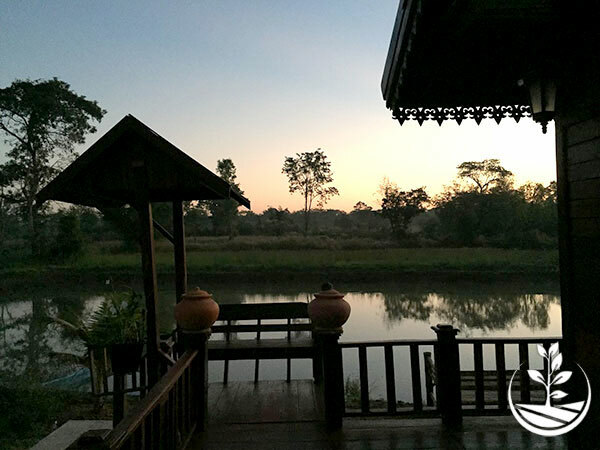 Staying in an authentic and preserved Siamese countryside should not be synonymous with discomfort. You can easily see it by discovering the various tourist hirings placed at your disposal on our property of more than 3 hectares. 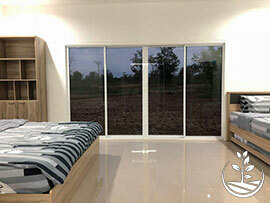 Whether a bungalow or the villa, you will have a private bathroom and large beds “king size” for restful nights. You are rather air conditioning or fan? No problem, both are available. 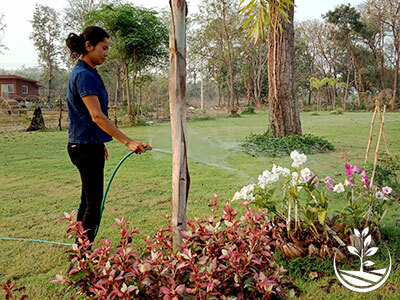 You can also enjoy our carbets, our terraces, the garden with its flowers and orchids and the environment in general. 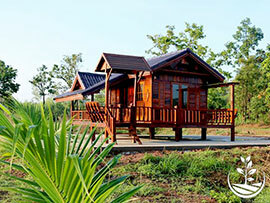 Imagine, more than three hectares dedicated to eco-tourism, there is something to do. 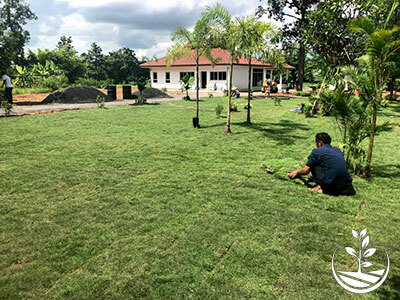 Oh yes, I forgot, soon an outdoor kitchen, the opportunity to enjoy some Thai cooking classes with the products of our organic farm, if the heart tells you. The rates listed below do not apply to woofing activities. 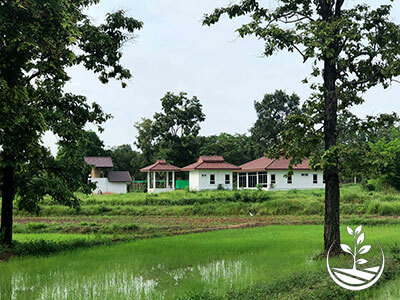 If you opt for an immersion stay in the “Suwan Organic Farmstay” then visit this dedicated page to discover its promotional benefits. 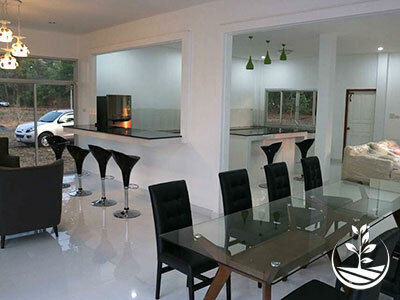 Bungalow for two people that combines modernity and charm of a local decoration. 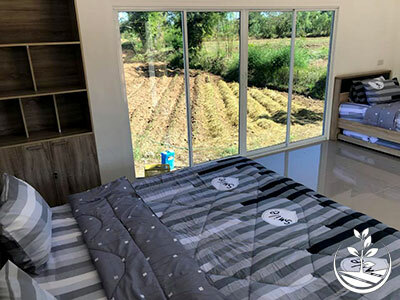 Adjoining the villa, it has a carbet which offers a very pleasant and panoramic view of the surrounding rice fields and vegetable gardens from our permaculture. 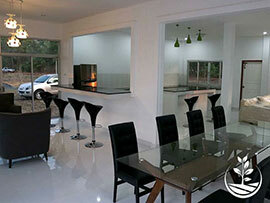 More spacious, it is suitable for couples with one or two children but it also regularly hosts groups of friends. 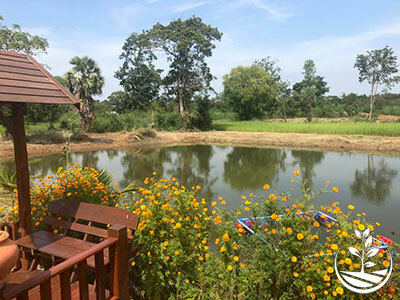 Airy, bright, it offers beautiful openings on the surrounding nature, an enchantment for the eyes when the rice is in bloom. 600 bahts / 2 pers. 800 bahts / 3 pers. 1,000 bahts / 4 pers. For two people, the “darling” of our visitors. It must be said that he has everything to seduce. All in wood it benefits from beautiful finishes. 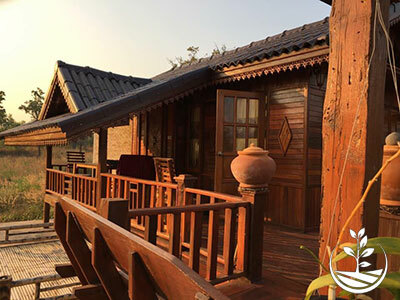 It has terraces with breathtaking views of the surroundings and the pond bordering it. A small fishing party? 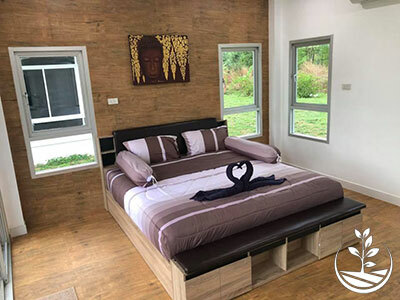 Our villa has two bedrooms and all the comfort of an expat life. Kitchen, living room, television area, bright rooms and large windows offering the spectacle of a preserved and generous nature, ideal for both couples and families. Want a good breakfast and a homemade dinner made with natural products from our permaculture? 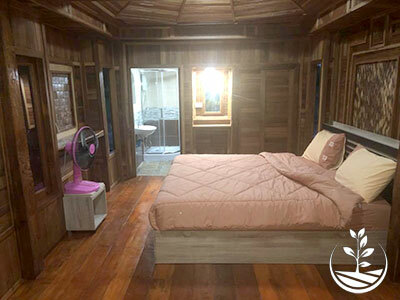 300 Baht per person or 500 Baht per couple. For full pensions during your stay or for longer periods, do not hesitate to contact us.